Harris Saddle and shelter on the Routeburn Track. Fiordland Darran Mountains behind. 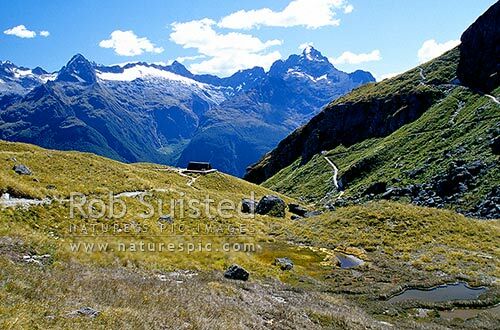 Mount (Mt) Aspiring National Park, Mount Aspiring National Park, Queenstown Lakes District, Otago Region, New Zealand (NZ), stock photo.